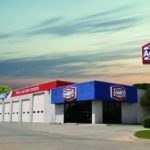 As one of America’s first franchise systems, AAMCO has risen to become the world’s largest branded chain of transmission specialists and an industry leader in total car care services since the brand began franchising in 1963. 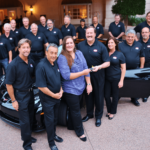 AAMCO’s proven business has allowed its rapidly growing network of franchise owners to thrive through the decades. The iconic brand recently announced that 100 of its longest-tenured franchise owners have spent between 20 and 50 years as part of the franchise system, equating to more than 3,300 years of brand loyalty. The announcement comes on the heels of a promising forecast produced by the Automotive Aftermarket Suppliers Association, which highlights the booming U.S. automotive aftermarket, which is expected to grow at a compound annual growth rate of 3.7 percent through 2019. Bill Harrison has spent nearly 50 years working at the AAMCO franchise he purchased in Springfield, Ohio. Prior to joining AAMCO, Harrison served as an engineer for Schlumberger, the world’s largest oilfield services company. 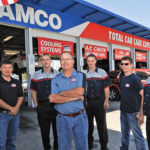 As AAMCO’s longest-tenured franchise owner still operating a center to date, Harrison understands what it takes to run a successful auto repair franchise, as he has been part of the company’s evolution into a leading brand for transmission repair and total car care services. Kurt Wood, owner of the AAMCO of Salt Lake City, has been an AAMCO franchisee for nearly 25 years. After graduating from high school, Wood worked as an AAMCO service technician and worked his way up to customer service manager prior to becoming a business owner. The entrepreneur has been supporting his community through various charitable initiatives to benefit veterans and others in need. 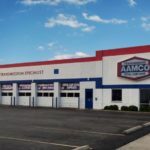 For more than 50 years, AAMCO’s network of locally-owned and independently-operated automotive service centers have employed the latest technology. Expert technicians diagnose a repair, fix it right the first time and back it with a nationwide warranty. Known as the world’s leading transmission expert, the company has evolved into a total car care brand that provides a variety of services, including brake repair, tune-ups, shocks and struts, routine maintenance and more. AAMCO was recently named to Entrepreneur’s 2016 Franchise 500®, ranking at the top of the transmission repair category. Based on network size, growth rate and financial strength, the brand also earned a spot on Entrepreneur’s “Best of the Best” list. With nearly 650 centers across North America, AAMCO is actively seeking single- and multi-unit franchisee operators who are passionate about the brand and committed to providing the highest quality service. Interested candidates should have a minimum net worth of $250,000 and liquid assets of at least $65,000 per unit. Depending on the real estate site selected, franchisees can expect the total investment to be approximately $227,400 – $333,000 with a $39,500 initial franchise fee. Reduced franchise fees are available for honorably discharged veterans.